Subject of the hearing will be applications for Certificates of Design Approval on the agenda below, review of architectural violations and such business as may come before the commission. Applicant: Berkeley Investments (owner): Rehabilitation of seven story warehouse for retail and office use, including masonry repair and repointing, replacement of windows, installation of storefront system, etc. Find out where the Massachusetts Gubernatorial Candidates stand on issues of transportation and smart growth. Register if you can attend. Seating is first come, first serve; but does not guarantee seats. Send your great questions to ask the candidates by email to jamie(at)@livablestreets.info or tweet your question to @StreetsBoston #MovingMAForward. Live streaming at Massachusetts Smart Growth Alliance. Hosted by Transportation for Massachusetts and Massachusetts Smart Growth Alliance. Coordinated by LivableStreets Alliance with Kendall Square Association. The Greenovate Boston Community Summit is one-day event that’s all about empowering the Boston community to address climate change and help make Boston the greenest, most climate-prepared city in the U.S. Interact with World-Class Speakers and City Officials: World-class speakers and discussions with Cabinet-level city officials will open The Summit. You'll be able to give city leaders ideas and input in making your neighborhoods greener, more sustainable, and prepared for climate change. Collaborate with Community Leaders and Innovators: Afternoon Innovation Sessions put you in charge of the Summit's agenda! Hosted by community members and local businesses and organizations looking to solve a climate or sustainability challenge, the sessions will be proposed and voted on by community members like you at Enqaqe.GreenovateBoston.org. Learn About Local Solutions: The Marketplace of Ideas will allow you to get to know leading businesses, institutions, and community groups. At the Marketplace, representatives from local organizations will exhibit products, services, and new ideas that are helping Boston neighborhoods address climate challenges. Greenovate Awards: Honoring Sustainability Leaders: The Summit will conclude with the 8th Annual Greenovate Boston Awards, which recognize Boston's sustainability leaders helping to reach the City's goals of reducing greenhouse gas emissions by 25 percent by 2020 and 80 percent by 2050. Mayor Walsh will describe the City's next steps for climate planning and action. For more information or to register, please visit Greenovate Boston. get a recycling bin sticker? Boston residents are invited to speak directly with Mayor Walsh about open space and other needs in their neighborhoods through one-on-one discussions and an on-site suggestion box. Mayor Walsh looks forward to hearing how the City of Boston can improve upon local parks, public areas, and city services. This weather permitting event also celebrates the opening of Sweeney Playground. Enjoy coffee and breakfast treats provided by Dunkin’ Donuts and fresh fruit from Whole Foods Market. In addition, each family in attendance will receive a flowering plant grown in the city’s greenhouses as a gift from Mayor Walsh. Residents at the event will also be eligible to win a raffle prize package including a Dunkin’ Donuts gift basket. In addition to City Hall To Go neighborhood visits, there is Citizens Connect , a mobile app anyone can use to alert the city to neighborhood issues such as potholes, damaged signs and graffiti. Follow @CityHallToGo or call 617-635-4500. Last night the BRA approved the development of Parcel K in the South Boston Waterfront. The project site, located in the heart of Boston’s Innovation District, will redevelop surface parking lots into a 480,243 square foot, $230 million mixed-use development. The completed project will house 304 housing units, including microunits and 40 affordable units; an approximately 247 room hotel; 11,592 square feet of incubator office space, and 17,748 square feet dedicated to a mix of restaurant and retail spaces. A three-floor, below-grade garage will supply 640 parking spaces. Public benefits include flex office space in line with Boston’s Innovation District initiative, new open spaces, and an improved pedestrian environment. Additionally, the developer has committed $200,000 for community-directed purposes, to be disbursed by the BRA. The project developer is Conroy Development, and the project architect is Arrowstreet. The BRA Board approved the development of 488 Dorchester Avenue near Andrew Square in South Boston. The project will redevelop a surface parking lot and two single-story warehouse buildings into a four-story, mixed-use building. The completed project will include 33 residential condominium units, four of which will be affordable; 2,091 square feet of ground floor commercial/retail space; 33 garage parking spaces; and bicycle parking. Residents will have close access to the Andrew MBTA Red Line station and several MBTA bus routes. R&B Investments, LLC is the project developer. Construction is estimated to begin in the third quarter of 2014. The BRA Board approved a Second Amendment to Planned Development Area (PDA) No. 64, located at Pier 4 in the South Boston Waterfront. The Second Amendment changes the use of a planned hotel and residential building to office. The BRA Board approved the original PDA in 2005, and approved the First Amendment in 2012. The amended building represents 378,755 square feet of new development. Public benefits in the completed PDA will include a waterfront park, a waterfront plaza, a new segment of the Harborwalk, a 20,000 foot civic space, and cash contributions to support water transportation options. The Pier 4 development team includes New England Development, LLC with Elkus Manfredi as the project architect. 315 on A and Factory 63 in conjunction with My Bike presents complimentary bike tune ups for the residents and businesses in the Fort Point neighborhood. 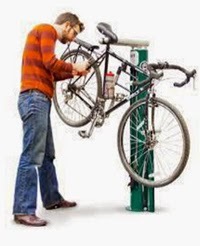 It's cycling season and time to get tuned up! Summer is coming. The timing is perfect for the new 100 Acres park to open and yes more restaurants! Come hear all about it plus valet parking for Melcher Street, and meet Boston City Councilor-At-Large Michelle Wu. This summer (June or July), Fort Point Theatre Channel is considering offering ¡Teatro for Kids!, a Spanish/English bilingual theatre class in Fort Point for kids in the 4- to 7-years-old age range. Activities will include improvisation games, reenacting classic children's stories, and mask-making to bring characters to life! The class will expose kids to theatre skills in a relaxed bilingual setting. It will be 90 minutes long. All levels of Spanish welcome, from beginner to bilingual. Students can enroll for either four weeks or six weeks, with one afternoon class a week. For more information or to tell us your kids will be interested, please email Jaime Carrillo, Jaime(at)fortpointtc.org. Massport will present an overview of the Thomas J. Butler Freight Corridor and Memorial Park, a 2/3 mile dedicated haul road to remove Conley Terminal container truck traffic from First Street and portions of Summer Street. A new 4.5 acre community park will be built along East First Street as part of the project. Contact Anthony Guerriero in Office of Community Relations, Massport, at 617 568 3711. After Party at Wormwood Park starting at 5 pm. Meet at Wormwood Park for coffee and pastries. Tools, rakes, trowels, gardening gloves, and a free t-shirt provided by the City of Boston. Green thumb not required! 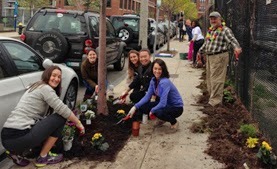 We will be continuing the planting started by fifty enthusiastic volunteers from local Fort Point businesses who had fun designing their own tree garden circles and street panels along the fence last Friday. We are thankful for their tremendous efforts; however, there are still tree circle gardens and street panels to plant. After digging in the dirt, you will be rewarded by an After Party in Wormwood Park at 5 pm. Volunteers and their families are welcome to attend. Food and refreshments are generously donated by Barrington Coffee, Barlow's Restaurant, Pastoral, Sagarino's and Southie Liquors. Sign up to be part of the Fort Point Neighborhood Team. Together let's make Fort Point Shine! The reception will be held on May 16th from 5:00 pm to 8:00 pm. Show extended through July 26, 2014! Rob was one of the original members of the Artist Building at 300 Summer Street. He lived and worked there from 1995 until his death in 2013 after a long struggle with mental illness. All of the paintings are acrylic on canvas, and were created between 1973 and 2011. The paintings have a common theme of space, time, and place. Rob loved the natural beauty of the lakes and oceans that were the subject of most of his work; showing their organic beauty in contrast to man's destruction of them by pollution and neglect. His use of particle collision tracks, clouds, measuring devices, dialog boxes (with references to sight, sound, thought, etc) show the relationship of humans to our planet and the universe. 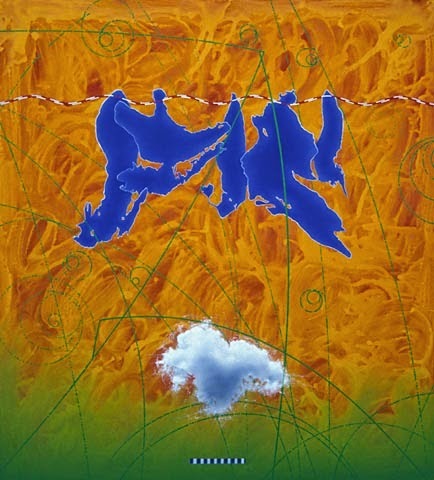 In his later work, Rob used what he called "energy signatures" to create backgrounds for his chosen imagery. 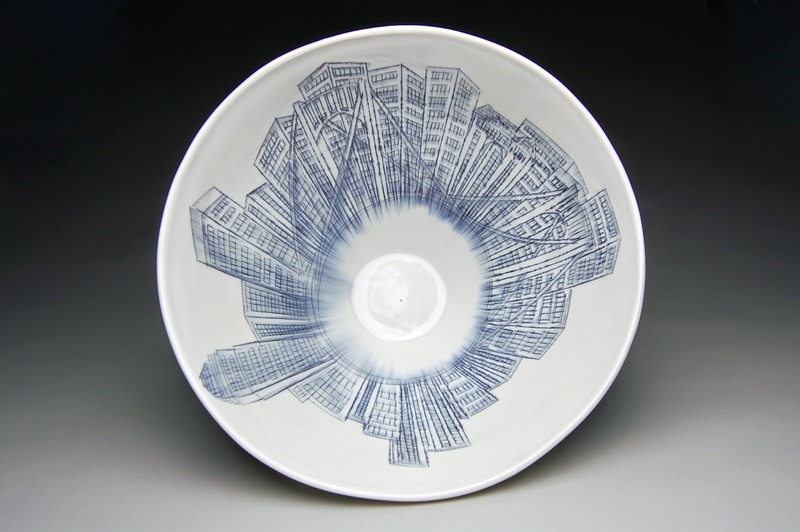 The FPAC Gallery is located at 300 Summer Street Boston, MA 02210. 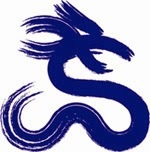 Currently Blue Dragon is open Monday - Saturday from 11:30am - 1:00am with the kitchen closing at midnight. Sunday the restaurant is closed. Blue Dragon opened in February 2013. Shop from local vendors including Coyote Painting Walls, floral lab, Hilary Law Textile Design, Nicole Aquillano, & Wendy Bergman. There’s no doubt your loved one will be happy! Atlantic Wharf’s Waterfront Square is located at 290 Congress Street, 1st floor. Continue your shopping extravaganza at Templeton General where you are invited to an evening filled with artists, drinks, snacks, and spoons from 5 pm - 8 pm on May 8th. "Spoonful" features twelve artists' take on the humble spoon. Stop in and say hello, have a drink, and feel free to change the record! Also open during the Fort Point Spring Open Studios May 9th - May 11th. Templeton General (formerly Front) is located at 25 Channel Center Street. Applicant: David Urbanos (tenant manager): Install patio, marquee, signage, etc. 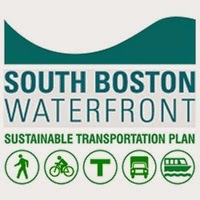 The city of Boston, the Boston Convention & Exhibition Center, Massport and MassDOT request the community's participation in developing a sustainable transportation plan that defines and prioritizes transportation system investments needed over the next two decades in the South Boston Waterfront. The project is being managed by A Better City on behalf of the sponsoring agencies, and is scheduled to be complete with plan recommendations by December 2014. Project details are available at the South Boston Waterfront Mobility website. Wellesley-based grocer Roche Bros. has typically only offered food delivery to homes within 10 miles of one of the chain’s participating stores. But on Monday, May 5, that’s going to change: Roche will start delivering groceries to a shopping list of Boston neighborhoods for the first time — Beacon Hill, the North End, Fenway, the Back Bay, the South End and South Boston. This new service is being launched in anticipation of Roche’s own brick-and-mortar foothold in the downtown — a Roche store that will open next year in the redevelopment of the Filene’s block at Washington and Summer streets. Tonight is the last opportunity to share your ideas and experiences with the permitting process. This will be an official City Council Hearing and an opportunity to speak about the permitting and licensing process on the record. The hearing will be held on Monday, May 5, 2014 at at 6:00PM at Hibernian Hall, 184 Dudley Street. 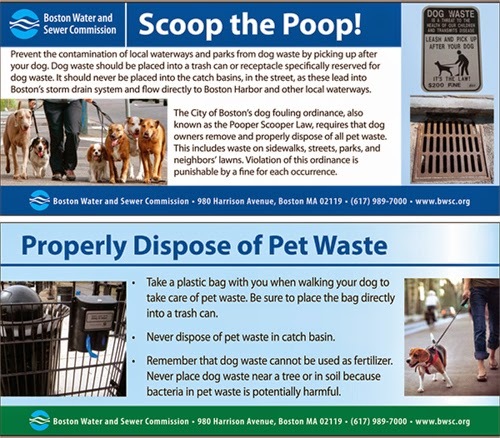 If you have any interest, please don't hesitate to contact Henry Cohen in Councilor Wu's office at 617-635-3115 or by email at Henry.Cohen(at)boston.gov. If you would like to share your experiences on the record, but are unable to attend the hearing or would rather submit your thoughts via email, please email the Councilor at Michelle.Wu (at)Boston.gov or call her office at 617-635-3115. Related post on small business neighborhood meeting. Pick up a map and explore the studios of more than 75 artists working in all media. Talk with artists in their studios and discover new works and treasured favorites. See Fort Point’s art galleries. 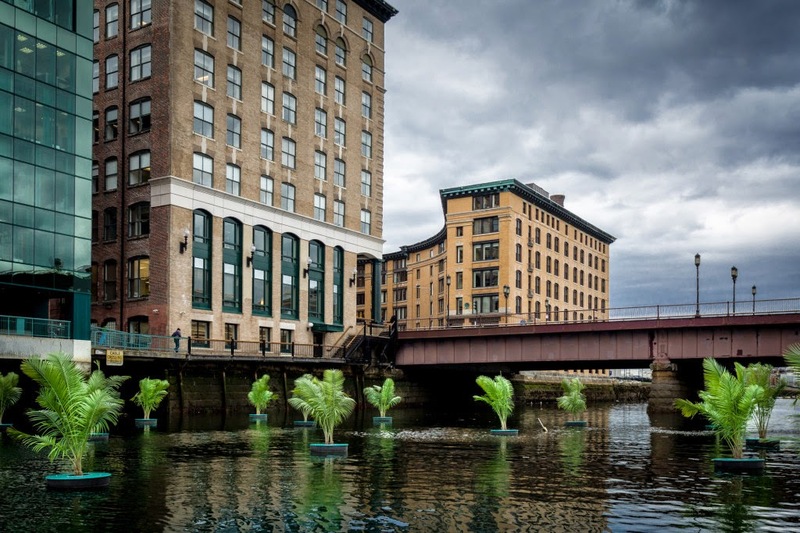 and find public art installations throughout the neighborhood, and in the Fort Point Channel. Explore Boston’s changing Fort Point and see the unique waterfront warehouse district that is home to one of New England’s largest arts communities. Saturday and Sunday May 10 &11, 12-5pmFree to the public and free parking! Exclamation Point! 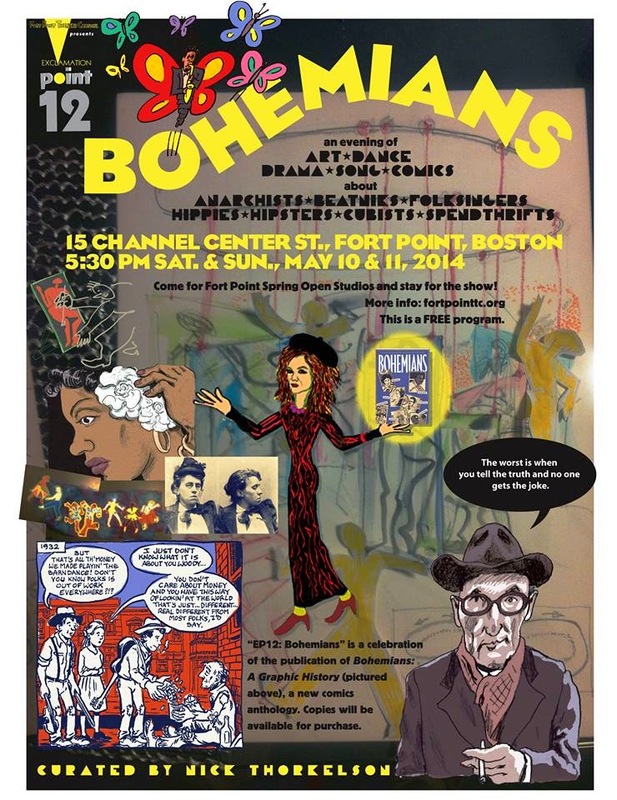 12: Bohemians, a Fort Point Theatre Channel event with the theme of bohemia and bohemians, will be presented during Fort Point Arts Community's Spring Open Studios. The project will center on a revue-style program performed after Fort Point artists close their studios for the evening. The City of Boston will be conducting Homeland Security exercises this weekend. The BCEC, located at 415 Summer Street, will be part of the exercise. A portion of that training will take place on Saturday, May 3 at the BCEC, with a host of law enforcement and first responders converging on the South Parking Lot along Cypher Street starting at around 5 p.m. This weekend the MCCA welcomes Urban Shield Boston to the Boston Convention & Exhibition Center. Urban Shield Boston is a major public safety exercise that will take place throughout the region involving law enforcement and first responders in various training scenarios. A portion of that training will take place Saturday, May 3 at the BCEC, with a host of law enforcement and first responders converging on the South Parking Lot by Cypher Street starting at around 5 p.m. If you are near the BCEC and see this, do not be alarmed. The South Parking Lot behind the BCEC will serve as a major staging area, and portions of the BCEC’s Hall C and the loading docks will be used to conduct the exercise. Most of these areas will be closed off to the public and only select MCCA staff will have access. Again, this is a highly organized training exercise and there is no need for alarm. 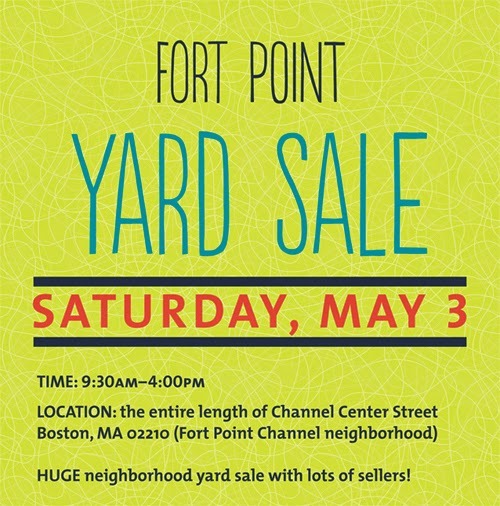 Newly expanded Fort Point Yard Sale will cover the entire length of Channel Center Street in Boston, MA 02210.